Who is killing America? Is it really Donald Trump and a GOP filled with white supremacists? 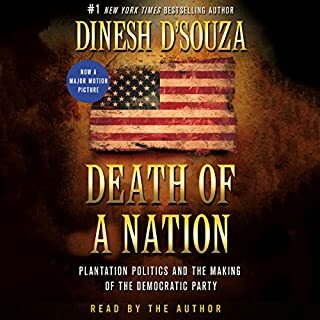 In this audiobook, Dinesh D’Souza makes the provocative case that Democrats are the ones killing America by turning it into a massive nanny state modeled on the Southern plantation system. Death of a Nation's bracing alternative vision of American history explains the Democratic Party's dark past, reinterprets the roles of figures like Van Buren, FDR, and LBJ, and exposes the hidden truth that racism comes not from Trump or the conservative right but rather from Democrats. 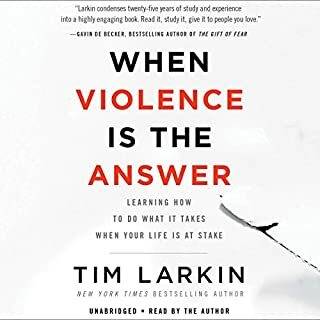 In this essential new book, self-protection expert and former military intelligence officer Tim Larkin changes the way we think about violence in order to save our lives. By deconstructing our assumptions about violence - its morality, its function in modern society, how it actually works - Larkin unlocks the shackles of our own taboos and arms us with what we need to know to prevent, prepare for, and survive the unthinkable event of life-or-death violence. 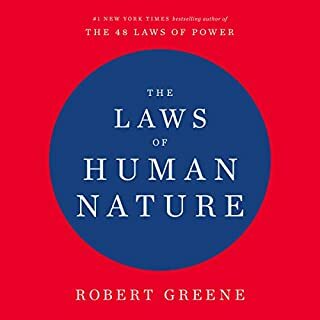 The Art of Hunting Humans presents key aspects of the human mind. 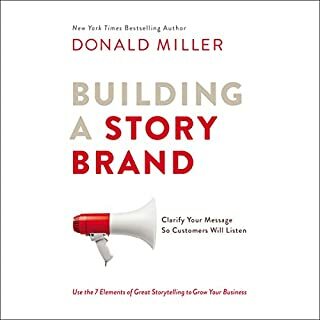 With straightforward language, weird metaphors, and practical examples, it enables listeners to understand human behavior and evaluate their lives from an outsider’s perspective. Designed to shock and challenge, rather than comfort, The Art of Hunting Humans sets itself apart from anything else written in its field. The result is a skeptical, radical explanation of the mind that provides extraordinary insights into the inner worlds of human beings. 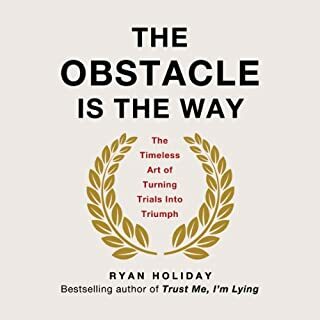 Most successful people - the so-called "winners" in our society — aren’t interested in reading about psychology and wisdom because books that tackle such topics are usually for people who need help, like those with low self-esteem, not for confident listeners who relish a challenge. 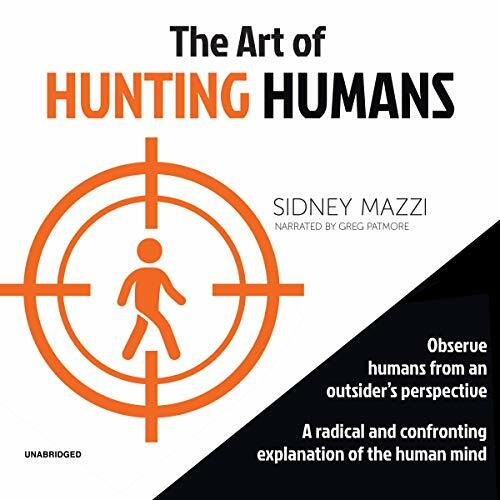 The Art of Hunting Humans, in a practical way, reveals the tough inner world of human beings and is an essential listen for skeptical winners who wish to enhance their already fantastic lives. Do you think you can handle it? The age-old art of human hunting is one you must orchestrate with care. In The Art of Hunting Humans, you’ll learn essential facts about Earth’s smartest primate and discover mistakes that are common among hunters while in pursuit of their prey. Whether you are an experienced hunter or a novice, this guide is essential listening. In it, you’ll learn the major steps for a hunt - from correct observation and selection of your prey to choosing the tastiest bait. It will reveal how to leverage humans’ self-ignorance and strange behaviors and expose flaws of which they are oblivious. At the end of the book, you will have the opportunity to meet the superiors - creatures like no other. You’d better be ready! Even if you’re a seasoned hunter, The Art of Hunting Humans provides extraordinary insights into human behavior as well as tips that will blow your mind. Almost everything in this book is a trap. Enjoy! ©2019 Sidney Antonio Mazzi Jr. (P)2019 Blackstone Audio, Inc.
Mind-blowing ideas. Everyone should read this. 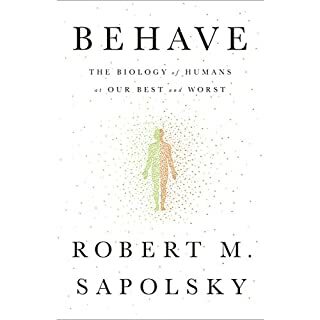 As the author says, this book it's a radical and confronting explanation of the human mind.